On October 26, the Ministry of Defence (MoD) and the Indian Air Force (IAF) watched from the sidelines as Hindustan Aeronautics (HAL) signed two contracts with Israel Aerospace Industries (IAI), which will condemn the Tejas Light Combat Aircraft (LCA) to a marginal presence in the IAF’s future fleet. The contracts signed were for two major avionics systems that will determine the combat capability of an improved Tejas fighter, called the Tejas Mark 1A. One was for the ELM-2052 “active electronically scanned array” (AESA) radar, developed by IAI subsidiary, Elta. The other was for Elta’s “electronic warfare” (EW) system. Equipping the Tejas Mark 1A with Elta’s ELM-2052 radar will ensure the fighter never carries the world-beating Meteor “beyond visual range” (BVR) air-to-air missile. MBDA, the European consortium that builds the Meteor, has repeatedly told the IAF that it would only fit that missile onto a fighter with a European airborne radar. Choosing an Elta AESA radar for the Tejas Mark 1A, therefore, rules out the Meteor and, with it, any hope that the IAF with buy the Mark 1A in significant numbers. The IAF has ordered 40 Tejas fighter of the current Mark 1 version, but it believes their Israeli radar and missiles do not provide a decisive combat edge. 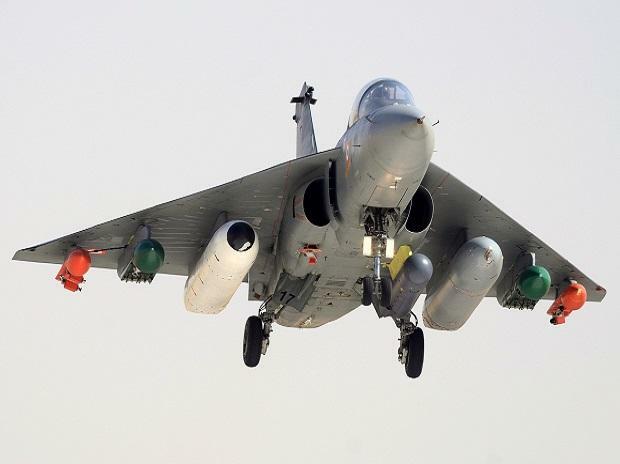 In September 2015, the IAF, HAL and the MoD agreed on specifications for a new improved version called the Tejas Mark 1A, with five specific improvements ― including AESA radar and the Meteor missile. Last December, the MoD sanctioned the purchase of 83 new Tejas Mark 1A fighters for Rs 330 billion. MBDA’s Meteor BVR missile has the matchless ability to engage enemy fighters 200-250 km away, before the adversaries can fire their own missiles. For shooting down aircraft at closer ranges, the IAF wants the Tejas Mark 1A to also carry MBDA’s eponymous Advanced Short Range Air-to-Air Missile (ASRAAM). In 2017, the IAF issued a formal tender to HAL ― termed request for proposal (RFP) ― stipulating that the Tejas Mark 1A must have the Meteor and ASRAAM. All through this year, the IAF has known that MBDA would allow the Meteor missile to be integrated only with European (or, conditionally Indian) AESA radars. Yet, the IAF remained silent while HAL’s tendering processes resulted in the selection of the Israeli ELM 2052 AESA radar ― and the rejection of two European AESA radars offered by French firm Thales, and Swedish firm Saab. The Thales radar and the Meteor missile have already been integrated into Dassault’s Rafale fighter, which the IAF rates highly. Likewise, the Meteor is already integrated with the Saab radar in the Gripen E fighter. In making it clear to the IAF that selecting an Israeli radar would mean ruling out the Meteor, MBDA has written five letters to the IAF this year, explaining why it would only integrate the Meteor with European radar. A BVR missile like the Meteor must be tightly integrated with the fighter’s radar. At the time the missile is fired, its on-board seeker cannot lock onto the target, which is too far away. During the initial period of the missile’s flight, the aircraft’s radar tracks the adversary fighter and transmits directions to the missile through two-way data links. Only when the Meteor reaches a few tens of kilometres from the enemy fighter does its on-board seeker get activated and homes onto the target. Given the missile’s tight relationship with the radar, there is a need for deep integration and sharing of source codes. In its letters to the IAF, MBDA has cited technology security concerns that integrating the Meteor with Israeli radar would endanger secret source codes and technologies. MBDA, a consortium of firms from six European countries, also believes getting clearances from six capitals would be complicated. In a February 19, 2018 letter to the IAF chief, Air Chief Marshal B S Dhanoa, MBDA pointed out that the Meteor “has already been successfully integrated with 3 major European platforms and sensors… The risks inherent to such a demanding Tejas integration programme will be significantly minimised by the selection of a European radar, similar to those with which we have already qualified Meteor”. On May 17, 2018, MBDA wrote again to the IAF chief that with six nations involved in MBDA, clearing the Meteor’s integration with a non-European radar would be complicated. “Therefore, from a purely technical point of view, and considering the required clearances, Meteor on LCA may only be considered with a European radar,” stated MBDA. The IAF and MoD did not respond to a request for comments. In most fighter aircraft programmes, the airborne radar ― which is key to the fighter’s combat capability ― is chosen by the air force concerned, not left to the OEM. Yet, HAL was allowed to choose ― a selection that could unknowingly leave the Tejas Mark 1A without a Meteor missile. “It is almost as if there is a death wish for the Tejas. Now the IAF will fault the Tejas Mark 1A for not being integrated with the Meteor,” says a retired air marshal who closely oversaw the Tejas programme. From HAL’s perspective, Elta’s ELM 2052 AESA is the logical choice of radar. The Israeli firm developed this radar specifically for the IAF’s on-going upgrade of 61 Jaguars. For that upgrade ― which involves fitting AESA radar to enhance the Jaguar’s capability ― Elta developed the ELM 2052 AESA radar at its own cost, apparently in the expectation that it would also find place in future Tejas upgrades. With the IAF poised to clear the Jaguar upgrade, the ELM 2052 radar could quickly go into production in India in an IAI-HAL joint venture. With the ELM 2052 AESA radar being built for two fighter programmes ― the Jaguar upgrade and the Tejas Mark 1A ― it would work out significantly cheaper than the Thales and Saab radars, making Elta’s price bid the most attractive. However, given MBDA’s concerns, that would leave the Tejas without the Meteor missile, and therefore without the IAF’s buy-in. The choice of radar would not impact the integration of ASRAAM. Being a short-range missile, ASRAAM is guided by its own seeker from launch onwards, and so does not require integration with the on-board radar.